If you were among the millions around the world busy celebrating Easter over the weekend you may have missed one of the most bizarre domain related stories of all time even though it was reported in dozens of mainstream media outlets Sunday. 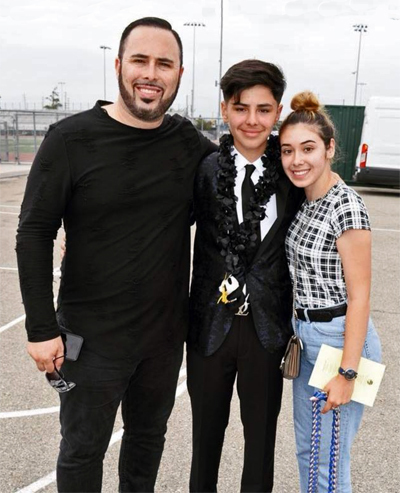 It involved a social media influencer named Rossi Lorathio Adams II whose company, Social Snaps, has been attracting over a million visitors to his pages on platforms including Snapchat, Instagram and Twitter. According to CNN, for two years, Adams had been trying unsuccessfully to buy a domain he wanted, DoItForState.com, from the owner who lives in Cedar Rapids, Iowa. 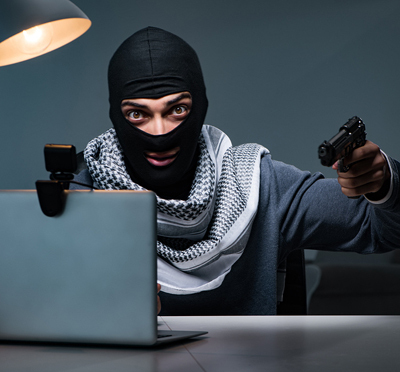 Adams finally got the not so bright idea that he could just hire someone to pay the domain owner a visit and force him to transfer the domain at gunpoint. After all, what could go wrong?! Well, plenty, as the guy he picked for the job, his cousin Sherman Hopkins Jr., soon found out. In 2017 Hopkins went to the domain owner's house, pulled out the gun and directed the man to his computer where he was told to log into his registrar account and transfer the domain. All the while Hopkins kept a gun against the man's head. Unfortunately for him, the domain owner decided to fight back and successfully wrestled the gun away from Hopkins and shot him several times with his own weapon. To add insult to insult Hopkins was sentenced to 20 years in prison last year. Meanwhile, authorities followed the trail from Hopkins back to the guy who hired him, Adams, who is now in custody awaiting sentencing himself. As CNN noted, "he faces a maximum 20 years in prison, a $250,000 fine and three years of supervised release." I'm pretty sure he could have bought the domain for a LOT less than that though, on the plus side, it looks like he may get free room and board for the next two decades. While this is obviously a very rare set of circumstances, it will likely cause a lot of domain owners to think about using the WhoIs Privacy option on their domain names so their address and other contact info is not readily available to someone who wants to pay them a visit! 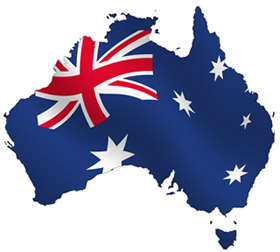 In our last post we told you about Australian entrepreneurs being up in arms over a proposal that country's domain governing body, auDA (administrator of the .AU ccTLD), was considering that could have effectively banned domain investing in that country's TLD. From the moment the idea was broached a crescendo of protests began growing with everyone from a former auDA board member (Simon Johnson) to the Internet Commerce Association (ICA) lodging strong objections to what would have been an unprecedented development in the domain industry. The united stand taken by the domain business community apparently caught the attention of auDA leadership because today they announced they have rejected the proposed policy changes for the Australian namespace. The auDA decision said “there is no evidence that domain name flipping as an investment strategy is having a negative impact on the utility of the .au domain nor resulting in a scarcity of domain names." The first word we got on the auDA decision came in a press release issued by the ICA this morning. It noted that auDA concluded, "the warehousing prohibition appears to disproportionately target domain investors, as the licence portfolios or holdings of trademark and brand owners will be excluded under the Policy Review Panel (PRP) proposal. This proposal elevates the rights of trademark and other intellectual property owners over other licence holders in the .au domain, which may give rise to issues of market power and anti-competitive practices. auDA management accordingly does not support the PRP recommendation for a resale and warehousing prohibition." All domain investors owe a debt of gratitude to the ICA and all others who stood up in opposition to this encroachment on the rights of domain investors and entrepreneurs. They represent a significant portion of domain registrants worldwide and should have the same standing as anyone else who chooses to invest their faith and money in the long term value of domain names. enacted domains that have already been registered and paid for could be taken away from their current registrants. AuDA is currently inviting public commentary on the proposed changes but the window is about to close with the deadline for submissions set for 5pm Australian EST Friday, April 12 (AEST is 14 hours ahead of U.S. EST which would make the deadline 3AM Friday morning in the eastern United States). The Internet Commerce Association (ICA) also issued their own strong objections to the AuDA proposal in a nine-page letter sent to AuDA's Policy Review Panel Tuesday (April 9). The letter written by ICA Legal Counsel Zak Muscovitch noted, "Whether in land, a catalogue of Beatles songs,or domain names, investing in assets is a natural by-product of a free and open market. Domain registrants use and risk their own money to lawfully purchase generic and descriptive domain names on a first-come, first-served basis and from prior owners a nd should have the right to do so. Domain name investors range from an at-home mom making a casual investment in a handful of names to professional domain name investors who spend substantial money and efforts on building a portfolio and marketing it to the public. Such business activities involving domain names are entirely legal, expected, and natural. Indeed, Australia is the only country that we are aware of that has such restrictive policies when it comes to domain names." broad net. The supposed harms the policy is attempting to address are largely illusory while the actual harm created by the proposed policies, if enacted, will be deep and widespread." In a related noted, the ICA is hosting an open public webcast Friday afternoon (April 12) at 1pm US Eastern Time. Anyone can sit in on the session by registering here. The controversial AuDA proposal is one of several topics set for discussion on the webcast. 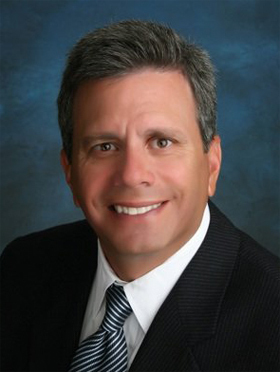 If you been in the domain business for any appreciable length of time, odds are you are already familiar with industry veteran George Kirikos who, in addition to his record of success in domain investing and development, also operates Leap of Faith Financial Services Inc.
School.com. Kirikos also has Options.com and StockOptions.com under development in the financial arena, and many others in an assortment of industry verticals. The financial domains fall in Kirikos' wheelhouse - he holds both Bachelor's and Masters Degrees in Economics from the University of Toronto. For years now he has used those skills to uncover previously unreported major domain sales and acquisitions while poring through public corporate filings. If you are a regular reader of our weekly domain sale report you have seen Kirikos credited for finding some of the biggest sales that have ever appeared on our sales charts (sales that likely would have remained undiscovered to this day if George hard not dug them out). 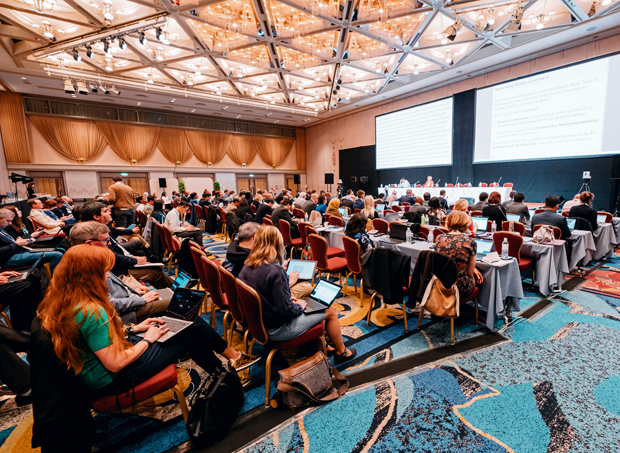 Over the years Kirikos has proven to be just as adept at uncovering actions that threaten domain registrant's rights, especially when it comes to governance issues handled by ICANN, the overseer of the global domain name system. Since the early days of domain forums and more recently on his Twitter feed, Kirikos has repeatedly taken ICANN to task. The matters he has brought to light left many encouraging him to start his own blog so he would have full control of an important "soap box" and have room for more in-depth commentary that Twitter's 240-character limit allows. Kirikos has finally heeded that call by launching his new blog on one of his marquee domains - one perfect for this application - FreeSpeech.com. In his first post on April 5, 2019, he discussed some of his background and his plans for the new site. Not surprisingly, ICANN quickly became the hottest topic on FreeSpeech.com when they banned Kirikos from membership on any of their working groups shortly after his blog was launched (for the past three years, George has been a member of ICANN's RPM PDP working group, which is chartered to review ICANN’s UDRP and other policies that affect domain name registrants). That move came shortly after Kirikos had revealed in an earlier post the same day that his position was being threatened due to his critical commentary. You can bet these early fireworks will not be the last at FreeSpeech.com. Kirikos's record of straight forward, no punches pulled commentary on a wide variety of industry matters warrants adding a bookmark to his blog if you want to hear both sides of the industry's hot topics as well as broader issues beyond the domain world related to free speech. It's a long way from Long Island to North Dakota, in terms of both mileage and differences in culture. 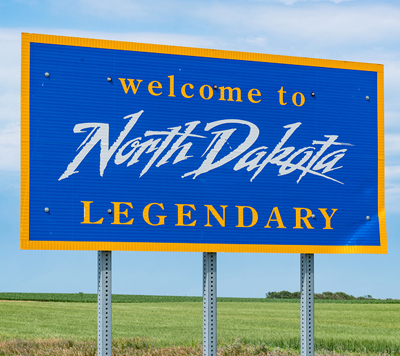 So it may surprise you to know that the new developer (and pending co-owner) of NorthDakota.com is native New Yorker John Colascione, a veteran online entrepreneur whose successful businesses have included LongIsland.com and his home base, Searchen Networks (founded in 2002). John doesn't live in North Dakota - in fact, he recently moved from Long Island to Florida so he is even further away from North Dakota than before. Even so, John knows it is rare for any state or major city .com domain to come on the market and he wasn't about to pass up a chance to get involved in the acquisition of one when the opportunity arose. To find out how that came about and how John is tackling long distance management of the new website at NorthDakota.com we connected with Colascione for the answers. 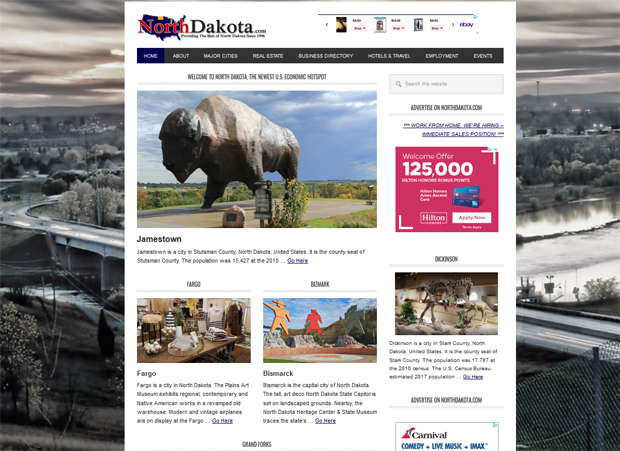 "NorthDakota.com came onto my radar for three reasons," Colascione said. "#1 - it was being sold by domain broker Mark Thomas of VIP Brokerage who has become a good friend through the years of attending domain name events. We always manage to have a good time at the events we attend together, especially NamesCon and sometimes get together outside of domaining circles. Mark was representing the seller and has other premium GEO domain names for sale." inexpensive - under six figures, and represents a geographic area of the country which is growing rapidly with jobs due to its agriculture and oil riches. My ownership interest will be assigned when the business has earned back its initial purchase price that was provided by an investor that I have already done several successful projects with. At that point I’ll immediately acquire a third of the business." 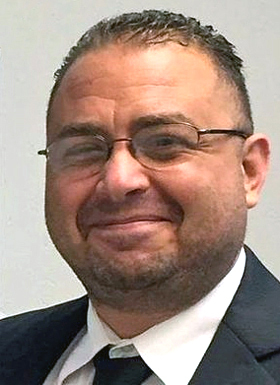 "#3 - after exiting LongIsland.com and moving off of Long Island, I wanted to remain in the geo domain business since I have so much experience in it and this time, I found interest in doing an entire State, instead of a region, city or town," John said. Colascione wasted no time getting a new site online. We asked him about what is there now and what he has planned for it in the year ahead? "I trashed the old site which was built on a platform was old and I was unfamiliar with, transitioning the site to Wordpress, which is very easy to use," John noted. "While I do love Wordpress, I’m not sure how it will work for a geo domain, but I chose it to control cost and installed a Wordpress plugin for a business directory. I then obtained a CSV file of all of the businesses located in North Dakota and stuffed that data into the database immediately creating over 100,000 listings which creates 100,000 pages of the site. Search engines will index these pages and the site can then receive search engine traffic for these listings and will likely lead to increased interest in adding additional listings which can be purchased and upgraded. As far as the future, I’m not completely sold on the logo, or the theme/design, so those may change as time allows and I may look to implementing features and functions for both real estate and travel which is appropriate for a geo domain." Regarding the distance between his location and the subject of the site, we had to ask how difficult is it developing a geo site that is not in one's immediate locale compared to doing it with something closer to home as LongIsland.com was for him? "I anticipate it will be much more difficult as I will not have the same familiarity with the area and will lead to more of a learning curve in developing its content and core purpose," Colascione allowed. "I’ll have to see how it goes for now but I would like to find a local person to act as a single sales person for the entire site much like LongIsland.com had in the beginning, and they can then reach out to local business owners to find a happy medium between cost and ROI for advertising on the site which is will be very inexpensive as the site needs to grow and mature with time." Adding to the challenge is the fact that Colascione also has other businesses to run. " For the most part what I do is consult clients on the development, improvement, maintenance and marketing of their sites for a retainer fee through my consultancy company, Searchen Networks. However, I also develop internet properties for myself and for clients to increase and boost lead generation and/or to earn revenue which generates growth and income to the business so that it makes sense for them to pay for my consulting services and development time." servers, marketing programs, computer programming talent, and revenue to make a living while creating spin-off businesses and endeavors which I sometimes sell off to someone else. I’ve gone through three or four acquisitions and mergers over the years to keep afloat. In a nutshell, I help guide businesses with their SEO, sponsored search positioning, server management, outsourcing of their web team (to save money rather than having an employee) and build web businesses which are profitable. Most everything I do is geared towards website monetization and search engine positioning." That may seem like a lot of balls to juggle at one time but Colascione has been doing it for almost two decades now - so if anyone can successfully pull off this unusual coupling of a New Yorker and North Dakota - John is probably just the guy to pull that rabbit out of his hat. We've learned that the domain name CBDOil.com has been sold for $500,240 in what could be one of the three biggest publicly reported domain sales so far in 2019 (only California.com at $3 million and OL.com at $900,000 were higher). Names are added to our charts when we finish our usual verification process. We do know that the domain is now in the buyer's control and a Coming Soon page is in place. has three physical storefront locations in Las Vegas. Still, parting with over half a million dollars is a step that anyone has to give some thought to. We connected with Joe to find out more about this major acquisition and why he had no qualms about pulling the trigger on this deal. DNJournal: Joe, you were already in the legal alternative medications business with BuyLegalMeds.com where CBD oil is among your marquee products. Interest in this category has mushroomed alongside the legalization of marijuana for medicinal purposes. Tell us about your business background and how you arrived in this field. Joe Vargas: I was in the United States Navy for 8 years (1998-2006), spent 10 years in the Las Vegas entertainment and media industry (2005-2015) and now 4 years in the CBD oil hemp industry since starting in January 2015. I will retire from the CBD industry and travel. Here's a descriptive article on me and my background that came out in our local newspaper and the Las Vegas Weekly a few months ago. DNJournal: CBDOil.com is a huge upgrade in terms of your online identification. A lot of mainstream business people are not aware of how important a category defining domain can be to their business. How did you come to understand the value of a name like CBDOil.com and why it would be worth over $500,000 to your enterprise? Joe Vargas: I'm pretty familiar with how the internet works and why domains cost what they cost. When I was contacted on social media by the seller about the domain CBDOil.com being for sale, I knew that if I could get it for under a million dollars, I would have a good deal on my hands. Personally for me, I judge a domain based off the industry it's referring to. The value of the industry. The CBD oil industry is exploding right now and to have the authoritative domain for the entire industry would be powerful. Since CBD.com is taken by a Christian Book Distributor, they wouldn't sell it to me last year, so this was the next big domain for the industry with equal authority. We will still operate the brand BuyLegalMeds.com, but CBDOil.com not only has authority, but it has a lot of trust to the consumer when they visit a site like that. I also know that when an industry is valued more, a domain for it is worth more. Take CarInsurance.com for example. It was sold for $49.7 million dollars. The value of the insurance industry is $7 trillion dollars, so when you put into perspective searching for "car insurance" and CarInsurance.com is first on the first page on Google, there's extreme value there. $49.7 million is a good deal when you look at it like that. So $500,240 for a $2 billion dollar industry that would be worth 100's of billions more in a few years and possibly trillions in the future, I got an amazing deal and I would of paid more. Don't tell the seller that. LOL! 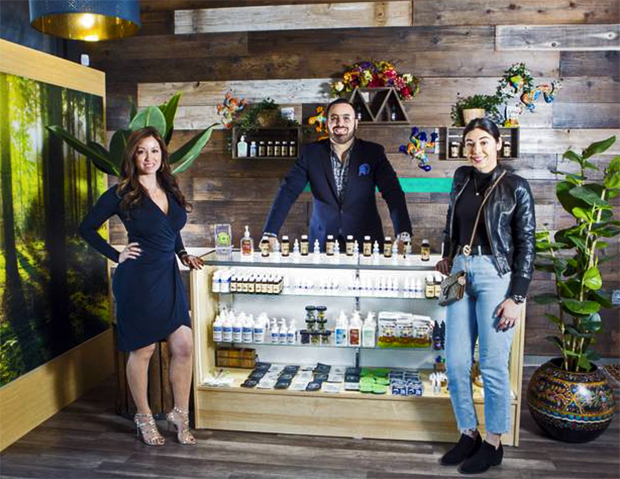 (Left to right): COO Raquel Geraldo, Founder & CEO Joe Vargas and Operations Manager Nahtaly Vargas at a BuyLegalMeds.com dispensary. DNJournal: What can you tell us about how the purchase came together. 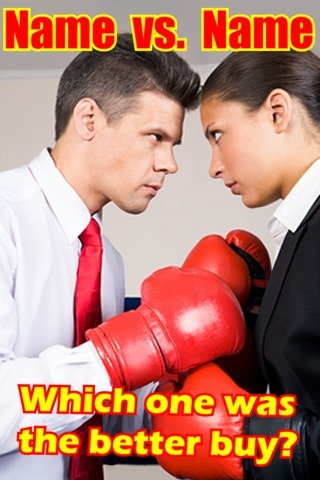 Did you work with a broker or deal with the seller on your own? Was the deal structured with payments over time or did you pay the full price and assume immediate ownership? Joe Vargas: My social media manager told me someone contacted our Twitter page for Buy Legal Meds and said their friend was selling the domain. I asked them to email me direct outside of social media. The owner did. I did my due diligence and contacted GoDaddy since the domain was hosted there and asked them to verify the owner of the account. The owner gave me his account number on GoDaddy and I had his name with his drivers license, so I simply asked my rep if the account number was owned by the person that claimed to have CBDOil.com. It was confirmed and from there negotiation started. I assumed immediate ownership from Escrow.com less than 2 weeks after we started negotiating. CBDOil.com is now in our control, a full site is being built now and will launch soon. DNJournal: Are yours plans to operate CBDOil.com as a completely different site from BuyLegalMeds.com or will your original site re-brand? Joe Vargas: BuyLegalMeds.com (Buy Legal Meds) is a brand that's been around for 4 years. Millions of people know about it around the world as we ship worldwide. It's a great brand that people love and our CBD dispensaries are called Buy Legal Meds. We won't be shutting down that brand and will operate CBDOil.com separately as a sister company. We manufacture all our products we sell in-house in our factory in Las Vegas. BuyLegalMeds.com is a little aggressive as a name and the customers that it attracts are a lot of fun. I love running BLM. DNJournal: Aside from owning the exact name of an entire rapidly growing industry, what will differentiate your site from the ever growing ranks of competitors? 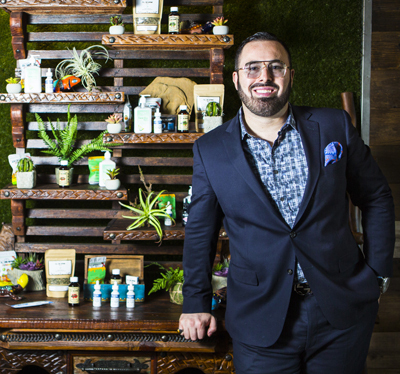 Joe Vargas: CBDOil.com will be a marketplace, a hub for great content and a place people can trust to buy highest quality all-natural medicine and learn about how cannabinoids can help their ailments. 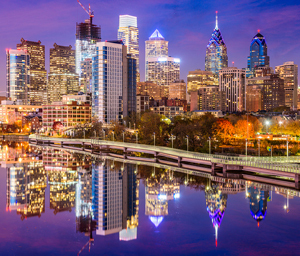 The Amazon of CBD with a lot of education. It's what I wanted to do with BuyLegalMeds.com 4 years ago, but it never worked out that way. I can't say much more than that. I don't want to give away any trade secrets before we launch the site. Let's just say that CBDOil.com will in fact be the authority website for the entire CBD Oil industry. DNJournal: Great domains require a sizeable investment. What kind of immediate impact do you expect to see from CBDOil.com when it is up and running and how long do you think it will take to recoup your investment? Joe Vargas: The internet is a tricky place. Although we now own CBDOil.com and the term "CBD oil" is searched half a million times a month on Google and only growing, it will take an excessive amount of work to get where we want. Unfortunately, SEO takes time, so finding other ways to market our site is needed until SEO kicks in and Google ranks you. Without a doubt and having faith in my teams abilities, we will recoup the money invested into buying the domain within the first 90 days of launching the site. The impact of authority of the site will take a bit more time than that. DNJournal: Anything you would like to add before we go? Joe Vargas: Helping people is therapy for me and my team. It's the main reason why I/we are in the CBD oil industry, so if people need help with CBD products or have general questions about CBD oil (hemp industry), please don't hesitate to reach out to us at support@cbdoil.com. There's a lot of gratification being able to help people with their ailments that not even their prescription meds can do. BRANDIT, a global provider of Corporate Domain Services and Legal In Digital Services that protect brands online, today announced the addition of Lance Wolak to its global team as Partner BRANDIT North America. BRANDIT, who is based in Zurich, Switzerland, delivers customer services to corporate brand managers, with its Strategic Domain Consulting, Domain Portfolio Services, Online Brand Protection and Enforcement, Legal in Digital, and Strategic Trademark Consulting – through expert teams located in Switzerland, the United States, Denmark, Germany, Malta, The Netherlands, Norway, and Brazil. 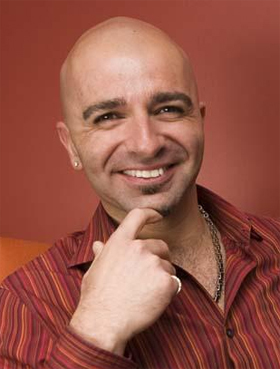 Wolak is a marketing executive, domain expert, and business advisor with over 20 years of experience building and managing global brands and serving as chief marketing officer with tech companies and startup businesses. 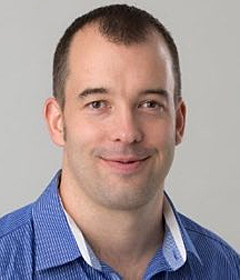 Lance has been in the domain industry since 2007, initially with Public Interest Registry, the home of the .ORG top-level domain (as VP, Marketing 2007-2014), and has led the development and launch of several new top-level domain name registries. 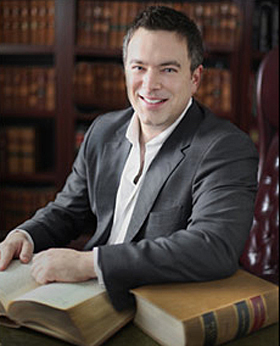 Lance, who founded the brand management consulting business ExcelStrategy in 2014, is based in the Washington D.C. Metro Area. 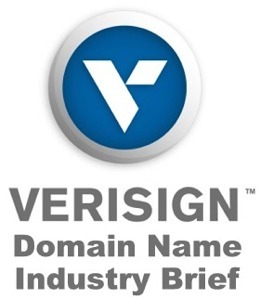 domain name portfolio, protecting the reputation of their brands on the web and social media, enforcing their trademarks, and the emerging online brand protection issues facing marketing and legal departments. BRANDIT is already highly regarded as a vital, trusted partner to managers of the top global brands, and that type of relationship will benefit all businesses needing to improve their brand protection efforts." BRANDIT CEO Jesper Knudsen said, "Lance’s background as a marketing executive and his passion for building and managing globally trusted brands will bring a unique perspective and offer many insights to brand owners in North America, seeking to protect and enhance their brands in the digital world. With our vision of having the best reputation in the industry with world-class services, we continue to build it with each outstanding professional that joins BRANDIT. 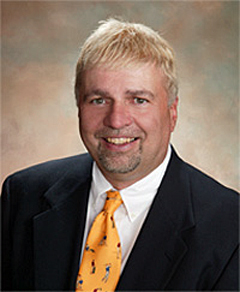 We welcome Lance to BRANDIT’s global team." Tucows will pay $29.44 million and the transaction is expected to be immediately accretive to operating cash flow. The purchase price will be funded through Tucows' existing credit facility. Tucows, who already operates giant domain resellers OpenSRS and Enom, manages a combined 23 million domain names and millions of value-added services through a global reseller network of over 37,000 web hosts and ISPs. The acquisition of Ascio adds approximately 1.8 million domains under management and approximately 500 active resellers. The release notes, " The Ascio reseller base fits squarely with Tucows' core customer profile - ISPs, web hosting companies and website builders serving quality businesses that reward outstanding customer service with long-term loyalty. Ascio also expands Tucows' product portfolio with one of the most complete offerings of country code TLDs (ccTLDs) and generic TLDs (gTLDs) in the world." Jørgen Christensen, Managing Director of Ascio said, "This deal is all about focus. We wanted to find a buyer who would focus on our resellers so that CSC can focus on managing brands for the biggest and best companies around the world." Tucows Executive Vice President of Domains David Woroch added, "This acquisition makes perfect sense for Ascio's resellers, our business and our shareholders. 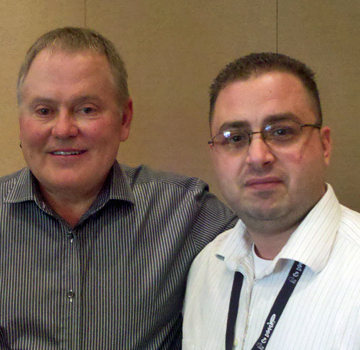 Ascio's resellers get a customer-focused provider that is investing in its wholesale channel. Tucows gets an excellent business with a deeply experienced team, additional domain products, including more than 50 ccTLDs, and a high-quality customer base that strengthens our European presence. And our shareholders get the benefit of Tucows' even greater scale and efficiency as the world's largest wholesale domain registrar." QV.net and Insurance.us Sold for the Same Price. Which One Was the Better Buy & Why? 16 years ago we started our weekly domain sales reports (that come out every Wednesday evening) as an educational tool. Showing the exact prices paid for specific domain names each week gives all of us a chance to learn more about domain values, gain insight into the latest trends (what's hot and what's not) and have access to a large pool of comparable sales that can be pointed to when buyers question domain valuations. As sales data comes in each week I often notice very different kinds of domains selling for about the same (or exactly the same) price and thought this might present another interesting educational opportunity. In this case, seeing how our reader's currently value various kinds of domains by running a periodic Name Vs. Name poll and discussion in which two equally priced but otherwise different kinds of domains are matched against one another. Today's post will give me an idea if there is any interest in seeing more of these mini domain duels in the future. In last week's domain sales report, I noticed that QV.net and Insurance.us sold for the exact same price - $7,000. One is a rare 2-letter domain in one of the original big 3 TLDs (.com, .net and .org) - but its letters, by Western standards, are not the best. The other was a very highly valued keyword but in a less often used TLD, America's country code, .us. So, let's get ready to rumble! Which one was the better buy and, if you care to comment, why? QV.net and Insurance.us Sold for the Same Price. Which One Was the Better Buy? Radix, one of the world’s largest new TLD portfolio registries, announced that it grossed $16.95 million in total revenue in 2018, a 30% rise over its revenue in 2017. The registry’s net profit soared too, growing 45.6% in comparison to last year. They also ended the year on a high note with Q4 2018 as their strongest quarter. In breaking down their main sources of revenue, Radix noted 27% came from standard registrations and 60% from standard renewals. Radix’s premium domains accounted for the rest, generating $1.9 million with 56% of that money attributed to premium renewals. A breakdown of revenue by geographic location showed the United States as the top contributor to Radix’s revenue, generating 48% of the total share, followed by Germany with 12%, and China with 6%. 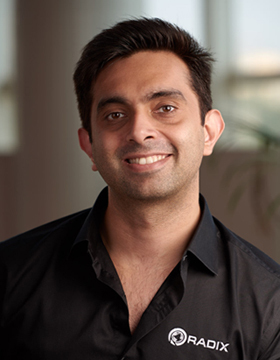 The company's renewal revenue grew by 43% last year compared to 2017, something CEO Sandeep Ramdchandani said was "indicative of Radix’s focus on maintaining a strong renewal rate through expansive end-customer marketing for its TLDs." Radix is currently the only portfolio registry that has two of its TLDs standing at over 1 million domain registrations each. .ONLINE hit the 1 million milestone in November 2018 and .SITE joined the 1M club in February 2019. Radix operates seven other new extensions including .STORE, .TECH, .WEBSITE, .SPACE, .PRESS, .HOST, and .FUN; as well as one re-purposed ccTLD, .PW. 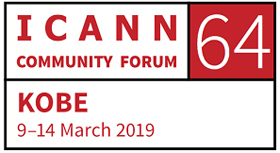 ICANN 64 Meeting that opened Saturday in Kobe, Japan (that event will continue through Thursday, March 14). it, it is clear Ari plans to make a big splash when the show debuts. You know what they say - "you only get one chance to make a good first impression" - and he intends to get it right. 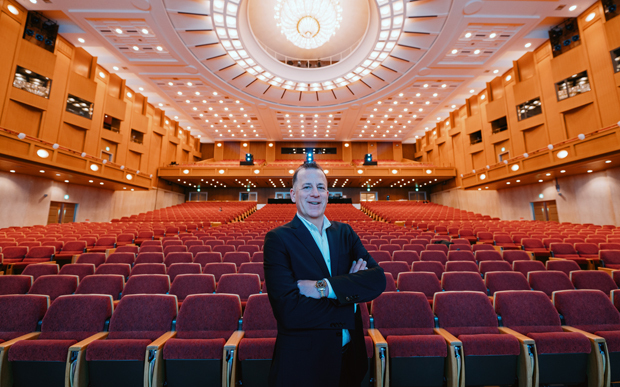 Above: Ari Goldberger in the auditorium in Kobe, Japan that is one of several halls and meeting rooms being utilized for this week's ICANN 64 Meeting. Ari and photographer Kevin Matosem were kind enough to send us the photos in this article that will give you a peak at some of the early activity in Kobe. Below: Some of the delegates from around the world that have converged in Japan for a week-long series of business sessions and events that began Saturday and will continue through Thursday (March 14). Above & below: Another view of part of the crowd in Kobe, Japan for this week's ICANN 64 Meeting. 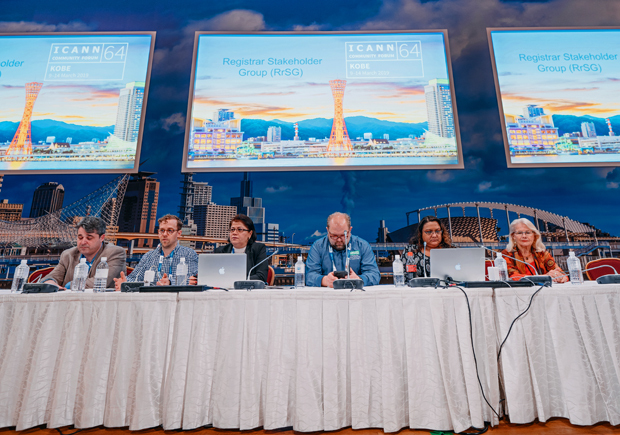 ICANN, the governing body of the global domain name system, stages three meetings each year at various locations around the world. 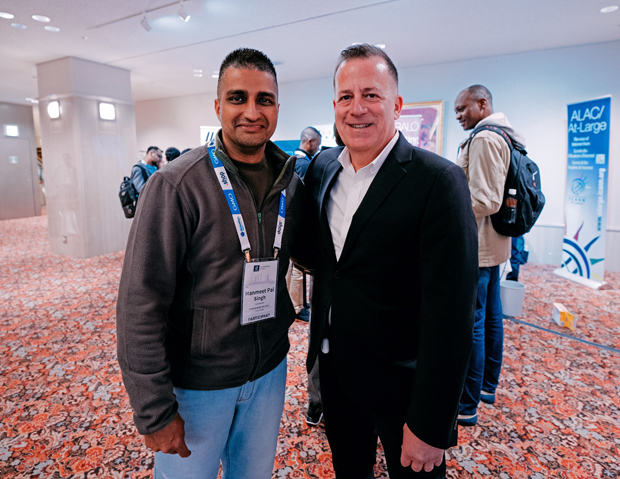 Above: Manmeet Pal Singh (left), founder of India's DomainX conference, chats with Ari Golberger in Kobe. 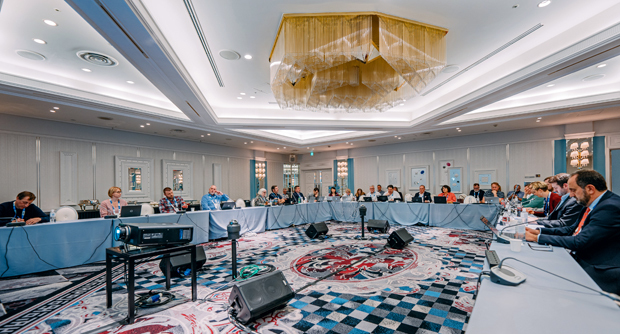 Below: A scene from an ICANN Registrar Stakeholder Group session at ICANN 64. 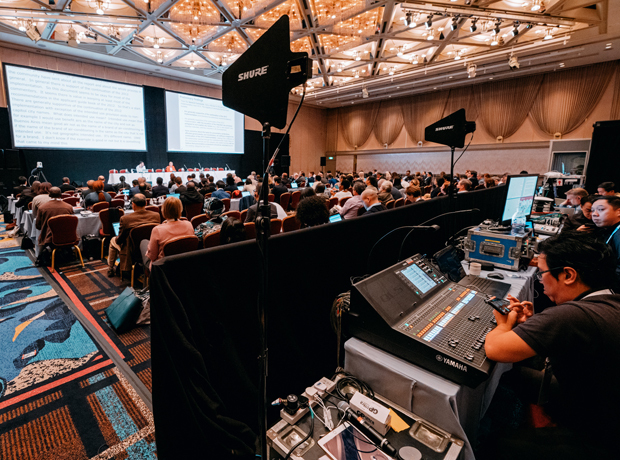 Above: With so much ground to cover, business sessions come in all shapes and sizes at ICANN Meetings like this one underway in Kobe, Japan. 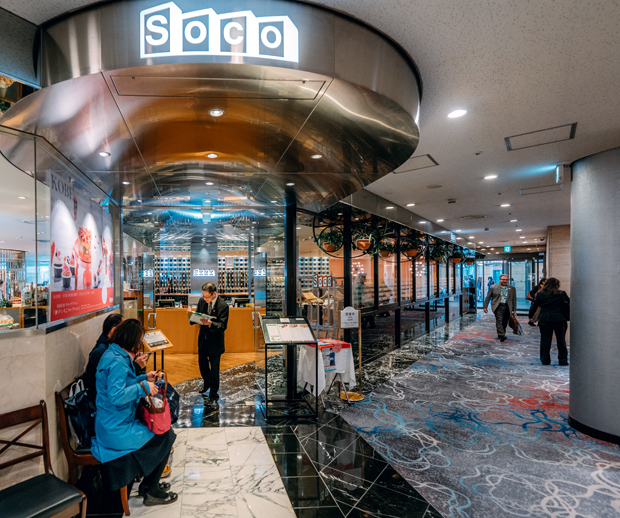 Below: A restaurant in the Kobe Portopia Hotel that is the host hotel for ICANN 64. Business sessions are being held at both the hotel and the adjacent Kobe International Conference Center. Singing in the Rain! When the business day is done ICANN 64 delegates can take advantage of Kobe's many great restaurants and clubs. 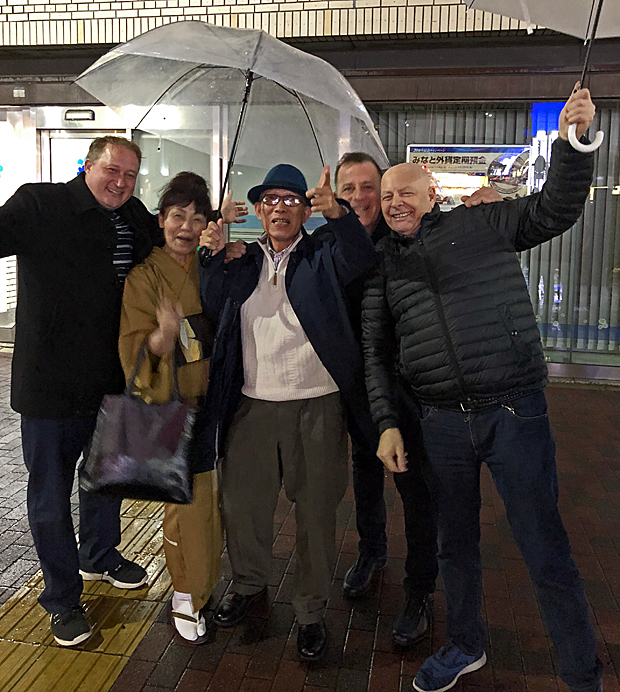 This group connected at a local jazz club where attorney Mike Rodenbaugh (at far left), Ari Goldberger and PPX International Chairman Gregg McNair (at far right) connected with this friendly Japanese couple. While the meaning of words can be get lost in translation, everyone understands great music. If Ari's vision for Domain Freaks becomes a reality, a lot more people will get a better understanding of the domain business too. 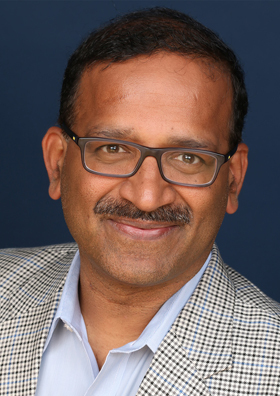 Afilias, the world’s second largest domain name registry operator, today announced that it has promoted Ram Mohan to the newly created position of Chief Operating Officer. Ram, who has been with Afilias for nearly 18 years, will be responsible for most of the day-to-day operations of Afilias and its global subsidiaries. He will continue to report to Afilias’ President and CEO, Hal Lubsen while most all of Mr. Lubsen’ s previous direct reports will now report to Mr. Mohan. Mr. Mohan served as an ICANN Board member representing SSAC, sharing his expertise in cybersecurity. Mr. Mohan is also a global leader in IDN technology and has helped bring native language domain names to India, Asia and the Middle East." A few days ago we published an article about domain industry veteran Jon Nevett's new role as President and CEO at the Public Interest Registry (the non-profit organization behind the .ORG extension), a position Jon assumed in December. Today we got word that Nevett has expanded his executive team by adding three more well established industry leaders to an all-star line up at PIR. Nevett, who co-founded Donuts (the world's largest operator of new gTLD domains), reached into the Donuts talent pool to get his new Vice President of Business Affairs, Anand Vora. Anand has been the Director of Business Development at Donuts for the past five years. Nevett filled the Chief of Staff position by bringing in Judy Song-Marshall who has been in the business for over a decade, most recently as the Director of Registry Services at industry giant Neustar. 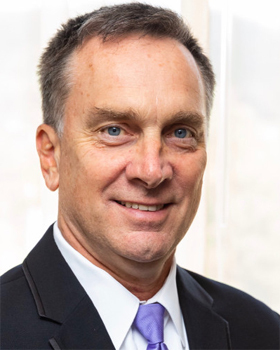 New Chief Technology Officer Joe Abley rounds out the power trio, coming on board after more than 20 years of experience working with internet infrastructure in a variety of capacities including in the domain name system. 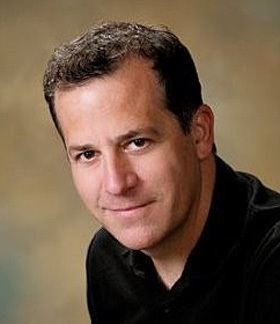 Joe's many high profile positions have included serving as an Infrastructure Scientist for Afilias and as a Director of Domain Names System Operations at ICANN. (Left to right): New executive members at Public Interest Registry - Anand Vora (Vice President of Business Affairs, Judy Song-Marshall (Chief of Staff) and Joe Abley (Chief Technology Officer). An interesting side note - this is a homecoming for Anand Vora. He got his start in the domain industry as an MBA intern at PIR in 2009 and made such an impression they hired him full time - first as Product Management Specialist, followed by a bigger role as Channel Manager for Asia. In 2014 Donuts came calling and Anand spent the next five years helping build that groundbreaking company. Nevett said, "Our latest executive appointments are some of the most well-respected professionals in the domain industry and true experts in their respective fields. I'm thrilled to welcome them to the Public Interest Registry team and am confident they will help us achieve our goals while, most importantly, upholding the impressive legacy of the .org domain." Millions of Americans were transfixed by Wednesday's televised Congressional hearings (February 27, 2019) in which President Donald Trump's former personal attorney, Michael Cohen, spent hours testifying about alleged misdeeds committed by his old boss. At one point Cohen stated he had threatened an estimated 500 people on Mr. Trump's behalf over the past decade. As it happens, one of those threats was directed at a client of one of the world's best known domain attorneys, Ari Goldberger, the founder of ESQwire.com. The threat - an attempt to take the domain name TrumpForPresident.com away from it's rightful owner ( Ari's client) - put Ari on the warpath against Cohen and The Trump Organization. It was a battle that Ari would win with a single shot - a masterfully written 5-page letter he sent to The Trump Organization detailing extensive case law that established his client's rights to the domain so convincingly that he never heard from them again. However, Goldberger never forgot the incident because of unethical behavior by Cohen that he also called out in his letter, leaving no doubt he was willing to take that matter directly to the Bar Association if necessary. it would appear the former name was Cohen's consolation prize after his failed attempt to hijack the name owned by Ari's client. Regarding ShouldTrumpRun.com, Cohen continued, “2011. It was my idea. I saw a document in the newspaper that said, ‘Who would you vote for in 2012?’ 6% of the people turned around and said they'd vote for Donald Trump. So I brought it into his office and I said, ‘Mr. Trump, take a look at this, wouldn't that be great?’ And that is where it all started." Due to legal privacy issues, I can't share the entire letter Ari sent to The Trump Organization warning them to stop their harassment of his client, however I can share some excerpts (with some names redacted) that will give you a very good idea of how this went down. The letter was addressed to another attorney on the Trump legal team (as it included complaints about Cohen's actions). "Mr. Cohen, acting in his capacity as an attorney and special counsel to Donald Trump, acted improperly towards (client's name), and appears to have violated the rules of professional conduct in attempting to coerce (my client) into transferring the Domain (TrumpForPresident.com) to Trump...During a telephone conversation on December 9, Mr. Cohen interrogated him about his occupation. Upon learning that (my client) is employed by (company's name), Mr. Cohen emphatically stated that Trump was a client of (company), and that he was going to call the (company)'s CEO and complain about (my client). Mr. Cohen taunted (my client) asking what his “boss” would think if he knew (my client) was trying to extort money from one of (company)'s “biggest clients.” With (my client) still on the phone, Mr. Cohen actually placed a call to Trump’s account representative at (company) and Mr. Cohen asked (representative at company) to access the (company)'s database to view (my client)'s private employment records. (Representative at company) then proceeded to provide Mr. Cohen with (my client)'s contact information. Mr. Cohen’s intent was clearly to coerce (my client) into surrendering the Domain Name by embarrassing him and threatening his employment. Such coercive tactics are reprehensible if done by anyone, but Mr. Cohen is an attorney and acted in his capacity as special counsel to Donald Trump. Mr. Cohen’s conduct, thus, appears to violate Rule 4.4 of the New York Rules of Professional Conduct." "(My client) has done nothing wrong. He has been subject to attack and abuse by representatives of Trump and this is unacceptable. He will continue with his plans to develop the Domain along with Politics2012.com. While we doubt that Mr. Trump directed, or was privy to, the intricacies of (my client)'s browbeating, the manner in which my client was treated by Trump personnel reflects poorly on an individual seriously considering the privilege of serving as President of the United States. I am sure if Mr. Trump were apprised of the facts of (my client)'s treatment he would disapprove. My client has no animus towards Donald Trump or the Trump Organization. To the contrary he is a fan and has a great deal of respect for Mr. Trump. We can also understand Mr. Cohen’s zeal in performing his duties as special counsel to Mr. Trump and appreciate his dedication and enthusiasm in promoting Mr. Trump’s candidacy for president. Nevertheless, this is a country of laws, and (my client) has abided by those laws and deserves to be treated accordingly. We will, thus, not tolerate any further intimidation of (my client)." When you keep in mind that all of this written nine years ago, it is remarkable how relevant it is to today's news headlines. If you've been out of the loop lately, catch up in the Lowdown Archive!